See more objects with the tag curving form, display, exhibition, intertwined, self-promotion, winding. See more objects with the color cornflowerblue khaki lightgrey dimgrey dimgrey or see all the colors for this object. This is a Poster. It was created by Ralph Schraivogel. It is dated 2002 and we acquired it in 2007. Its medium is screenprint on white wove paper. It is a part of the Drawings, Prints, and Graphic Design department. 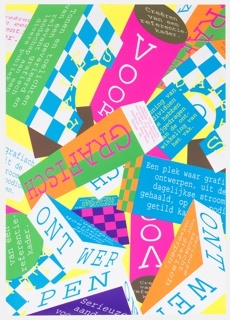 This silkscreen poster by Ralph Schraivogel, Ralph Schraivogel Plakaty, Design Centrum Ceske Republiky (2002), will be included in the museum’s 2008 exhibition Rococo: The Continuing Curve 1730–2008. 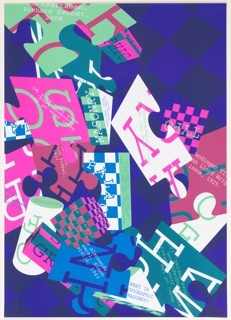 Schraivogel is internationally acknowledged as one of the most important and influential contemporary poster designers, and certainly the most significant contemporary Swiss designer. 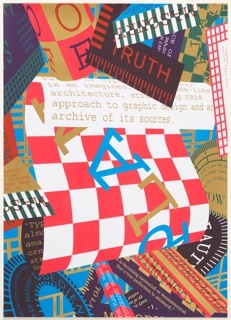 The graphic designer Keith Godard said of Schraivogel, “The phonetic translation of his name (screaming bird) is a fitting analogy: his posters are always ‘in your face,’ never using quiet or orderly typography so often equated with the Swiss.” This statement sums up where and how Schraivogel has positioned himself in relation to the expected rational model of Swiss graphic design, which typically incorporates combinations of typography and photography—or typography alone—on a tightly controlled mathematical grid. Trained in Zurich at the Schule für Gestaltung (1977–82), Schraivogel acknowledges no particular Swiss models or influences from his field. In fact, he prides himself on working outside of any particular movement. Schraivogel has said, “As a designer, I’m not allowed to bore people. 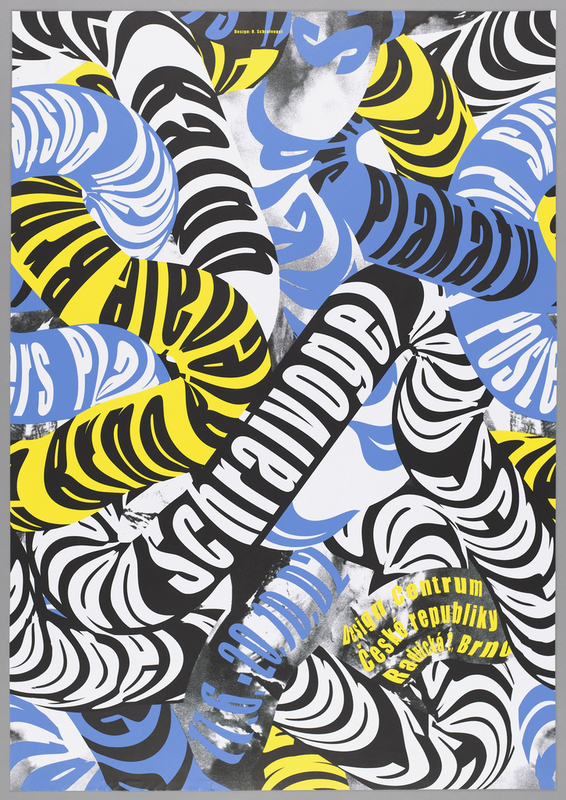 I need to make a surprising picture, like fire-works.” Schraivogel rejects the expected look and approach to poster design, in which the designer starts to sketch ideas towards a graphic solution. 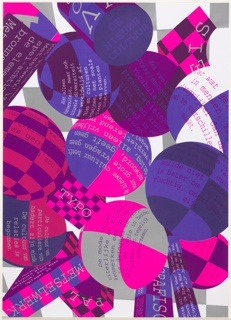 Instead he relies on chance, on “unforeseeable stray tracks and detours to expand his means of expression.” He will sometimes focus on randomly encountered patterns or graphic structures of his own invention, using them to get into the mood for a new idea or to arrive at a unique solution for each commission. 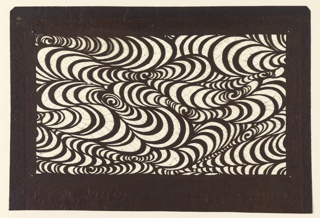 Regarding his approach to the use of space, Schraivogel has said that growing up he admired the painter, El Greco, and the printmaker, M. C. Escher, for their ways of representing space. El Greco depicted figures in undefined, cavernous, light-filled spaces that were not contained by the frame. Similarly, Schraivogel’s compositions seem not to be contained by the frame. His other model, Escher, created totally confounding, warped and illogical spatial puzzles that have no resolution. Schraivogel perpetually plays with pattern, image, and type to create ambiguous illusions of space without using perspective, “so that you can’t imagine how the paper remains flat." Ralph Schraivogel Plakaty, Design Centrum Ceske Republiky, seems closer to an Escher model of space, which works in a more controlled way with the idea of circulating, text-covered tubes moving in and out of pictorial space. Such visual inventiveness has characterized Schraivogel’s career. Because he avoids being pigeonholed or limited by a single solution, the experimentation of this poster will not likely be repeated. 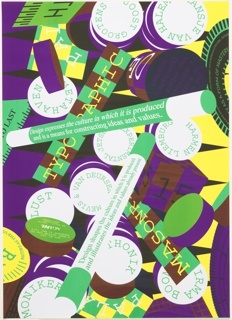 Swiss posters have been an area of curatorial collection focus since the early 1990s. Since that time, the museum has acquired posters by Armin Hofmann, Wolfgang Weingart, Josef Müller-Brockmann, Max Bill, and Herbert Matter. This representative selection of important Swiss graphic design, which spans the 1930s to 1970s, has established a solid foundation from which to appreciate Schraivogel’s work. This object was donated by Ralph Schraivogel. It is credited Gift of Ralph Schraivogel. This object was previously on display as a part of the exhibition	Rococo: The Continuing Curve 1730-2008.